Family violence is difficult for everyone involved. If you are the victim of domestic violence, a lawyer can help you obtain a protective order. A temporary order of protection as a victim of domestic abuse will help to keep you and your children safe from further danger. A parent charged with domestic violence could lose custody and visitation rights. 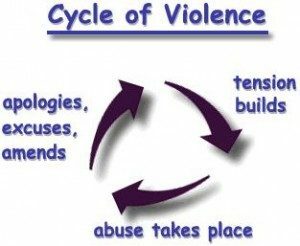 At the Weiser Law Firm, we understand the issues involved in domestic violence situations and we can help. Contact our New Orleans domestic violence lawyer today. We offer an initial consultation. Our dedicated family law attorney Harold E. Weiser, III has years of experience. In an effort to combat violence against women, he assisted in the establishment of a clinic for battered women in the New Orleans Area. If your family suffers from domestic violence, we can help you and your children move forward toward a brighter future. In addition to domestic violence, our firm represents clients in a wide range of family law matters, including child support and alimony or spousal support Let us help you regain control of your family law situation today. At the Weiser Law Firm, our family law attorney is sensitive to the issues involved with domestic violence situations. Contact the Weiser Law Firm today. Flexible appointment times are available for your convenience. Why do victims seek protective orders? Several Studies indicate that most women who seek such orders do so not as an early intervention strategy, but rather as an act of desperation following an extensive period of abuse. Almost one quarter of the women surveyed in one multi-city study had experienced abuse for five years prior to seeking a protection order. 2. Is it just a piece of paper? According to the research, while most abusers do violate protective orders in some way, these orders generally deter repeated incidents of physical abuse. In 40% of the cases surveyed in one study, there were no reported violations in the year after the order was issued. However, in 60% of these cases, violations were reported in that same period. In 29% of the cases in which a violation occurred, the victim indicated that the violation involved one or more acts of severe violence. 3. Do Protection Orders work in other ways? Because of the severity of the domestic violence, law enforcement in all parts of the seven-parish Greater New Orleans area take situations of Domestic Abuse Battery very seriously. If you have a family law problem contact a New Orleans Domestic Violence Lawyer with the Weiser Law Firm to get assistance.